After a lengthy closed-to-the-public session on Monday night, North Huron Council approved three separate motions labelling the Emergency Services Training Centre (ESTC), south of Blyth, and the Blyth and East Wawanosh Public Works yards surplus to the municipality. The designation means the municipality can sell the properties, with Reeve Neil Vincent anticipating the ESTC to sell sooner, rather than later. “There was news there was a possible buyer that wanted the building and the grounds,” he said, when asked why the ESTC was declared surplus. Vincent also confirmed that the offer is expected to come in rather quickly, which resulted in the motion for the ESTC being worded differently from the motions to declare the public works yards surplus. The three motions, one to declare the ESTC surplus and accept any offers that meet the requirements set out by council (which weren’t made public), and the other two, to declare the public works sites surplus and receive any offers, were hotly debated after the closed-to-the-public session. Some councillors were concerned the word “accept” might mean council would have to act on those offers. Councillor Trevor Seip said the two public works sites may not be sold until after the October election and the new council is sworn in by December. Vincent said the decision was made “to get rid of a sizeable portion of municipal debt,” adding that he anticipated, depending on contracts for the new building, the sale would "eliminate the ESTC debt plus rebuild a south fire hall [and] a major North Huron Public Works building and yard.” He said the yard would service both East Wawanosh and Blyth, leading to those structures and sites being declared surplus. 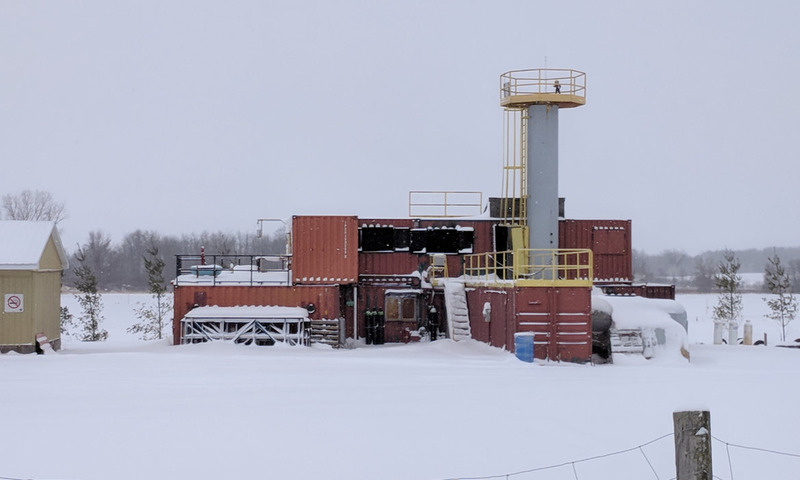 According to a report made by KPMG LLP, the total cost of the ESTC expansion, which resulted in the site as it is now, was approximately $1.95 million, including a $1.2 million debenture with Ontario Infrastructure and Lands Corporation. That debenture was split 55 per cent ($660,000) to the ESTC and was to be paid through funds raised by the centre and 45 per cent to the Township of North Huron for use by the Fire Department ($540,000).